Though the prep sartorial tradition comes and goes in waves in America, it’s never really out of fashion. We often think of critter-laden trousers and boat shoes as typically preppy, and with good reason. 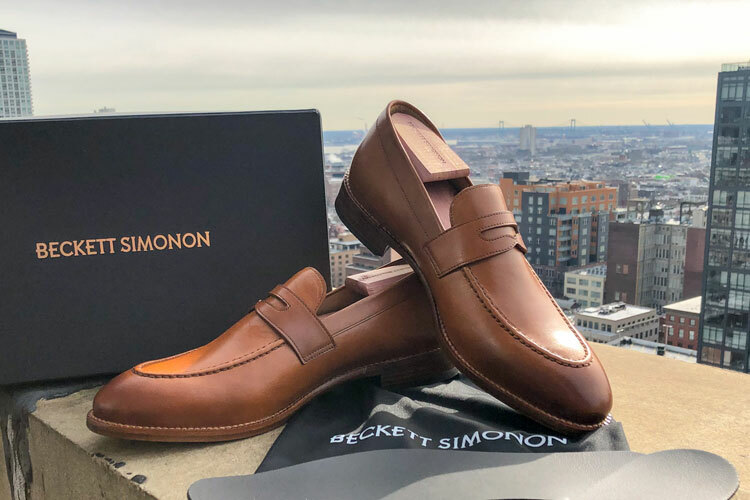 Sometimes, though, we overlook a classic shoe that became popular with the preppy set and has since become a household name: the penny loafer. What Is A Penny Loafer? Want to save time? Check out our quick buyer’s guide to shop our recommendations! You can also read about each of our top picks below. What Are The Best Penny Loafers For Men? Our current favourite penny loafers by a country mile, the Cohens by Beckett Simonon are elegant and well designed. Retailing at $200, they’re very affordable and constructed with a Blake Stitch. 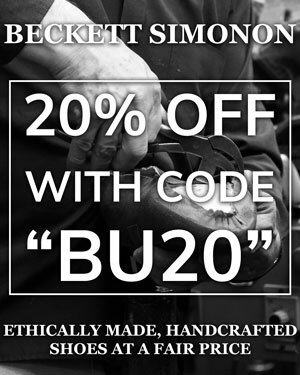 Furthermore, you can benefit from an extra 20% discount with the code “BU20” during checkout! Allen Edmonds are a renowned American brand for providing excellent quality given their price point. The Addison is a little chunkier due to the Goodyear welted Dainite sole. However, they’re durable and will provide you with beautiful footwear for years to come. For unparalleled comfort, we recommend Wolf & Shepherd, which has garnered quite the reputation. Although we have yet to review the Ringer, we have covered a number of other Wolf & Shepherd shoes and we admit that we’re converts! Before you say it, these are indeed tassel loafers and not pennies. However, we struggled to resist the temptation to not talk about them here. 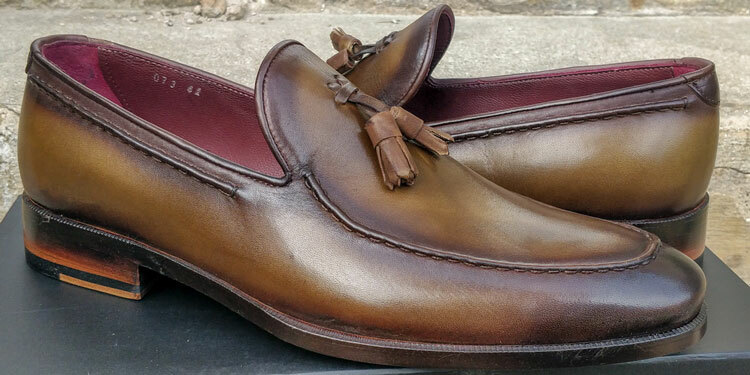 These beautifully handcrafted loafers from Turkey are given a unique painted finish, which produces their deep colour. We love them in Forest green. Like the Maglieriapelle shoes above, these are handmade with a painted finish. Paul Parkman have a number of eccentric and exciting loafers in their collection. However, we’re particularly fond of this classic design that lets the leather quality and finish do the talking. We’re normally not particularly fond of Mephisto’s shoe designs as they tend to be somewhat clunky or inelegant. 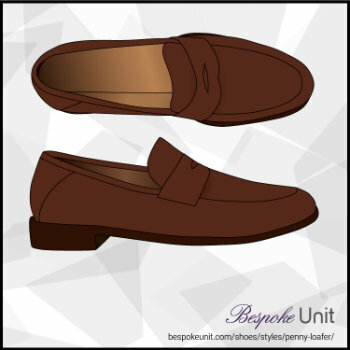 However, the Cap Vert penny loafer is an exception and is perfect for men with foot conditions. Penny loafers are laceless shoes with a moccasin-style upper that’s stitched to a separate sole and heel. They have a strip of leather called a “saddle” that sits horizontally across the instep. Nowadays, a broader definition can include any shoe that has such a strap, regardless of its construction. We will refer to this shoe as a “penny loafer,” “penny slip-on,” and “penny” throughout this article. More on that below. In the mid-1930’s (some records say 1934, others say 1936), G.H. Bass put their own spin on Norwegian slip-on shoes, basically stitching a heel to a moccasin-style upper. They added a strap of leather across the upper vamp (referred to as a “saddle”) and sold them as casual house shoes. They called them “Weejuns” (to sound like “Norwegian”), and the term is still copyrighted by Bass today. They became known as penny loafers, and they went from being “indoors only” shoes to being a workhorse of many gentleman’s casual wardrobes. Why Are They Called Penny Loafers? The practice of putting pennies in the saddle of Weejuns led to the widespread use of the term “penny loafer.” In fact, Cole Haan, an American footwear brand formed in 1928, sold a penny loafer that came with actual pennies in them back in 2008 for their 80th anniversary. That’s about as #throwbackthursday as it gets. Not all penny loafers are created equal. Though there are different styles of shoes that incorporate a saddle, we will refer to them as either “penny” or “penny loafer” unless intentionally being more specific. A blind penny is the same as a penny loafer, except for the fact that the diamond cut-out in the saddle’s center is either filled in or non-existent. It is thus referred to as a “blind” penny. Aside from this small detail, a blind penny loafer shares all of the same characteristics as a normal penny loafer. This is a classic aesthetic detail typically seen on Weejuns and similar models. The plug (part of a loafer wherein the vamp is stitched to the sides) is exaggeratedly large and takes on the look of a beef roll. It’s a casual, handsome detail that you won’t find on dressier slip-ons that have penny keepers. Sort of, but not really. The difference hinges on how much influence a moccasin, the prototype for these two styles, has on their construction. “Loafer” refers to a laceless shoe with a moccasin-style upper stitched to a separate sole and heel. “Slip-on” refers to a laceless shoe whose upper is not constructed like a moccasin. Slip-ons tend to be preferred by businessmen because they can be worn more easily with suits due to their dressier nature. A penny slip-on is simply a slip-on shoe with a penny keeper sewn onto the vamp. Granted, “penny slip-on” isn’t an industry-wide term, but it’s a distinction that’s worth making. You don’t want to wear a penny loafer with a business suit, but you do want to wear a penny slip-on. Keep in mind that the shoe industry will refer to both styles as a penny loafer regardless of whether or not it’s technically correct to do so. Another term that doesn’t really exist in the footwear industry but should, a penny moccasin is simply a laceless, heel-less shoe with a saddle across the vamp. Much more casual than the loafer or slip-on version, it’s on par with a driving shoe in terms of dressiness and construction. If our conversation includes moccasin, loafer, and slip-on versions, then you can safely wear any style penny with anything except a tuxedo. Jeans: Moc or loafer in any color. If jeans are dark and slim, a penny slip-on will work. Everyone’s foot is built differently, and most people have some sort of irregularity with their feet. As it relates to penny loafers (or any laceless shoe that doesn’t use elastic in its construction), those with a high instep may have issues. A high instep describes a foot in which the instep has a protrusion of some sort. This makes fitting certain shoe lasts uncomfortable. As loafers have little give, someone with a high instep will often have trouble wearing these comfortably. The saddle of a penny loafer simply applies more pressure on the instep, exacerbating the problem. The same issue applies to bit loafers. Not a bad day, we think! Do Pennies Belong In My Closet? Every man, no matter what his job, age, or social circumstances should own a penny loafer. 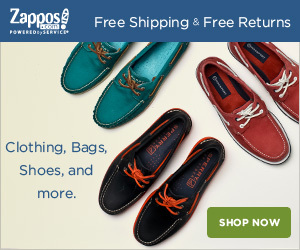 They are simply so versatile and classic that they offer some of the best return-on-investment that any shoe can offer. If you don’t wear suits every day, make it one of the first pairs you buy and wear them with nearly everything. If you do wear suits every day, make them the third pair you buy, right after an oxford and a derby. You have to wear something on the weekends! Reviewed by Oliver H., on 14th March . "Great guide for my favourite shoe style! 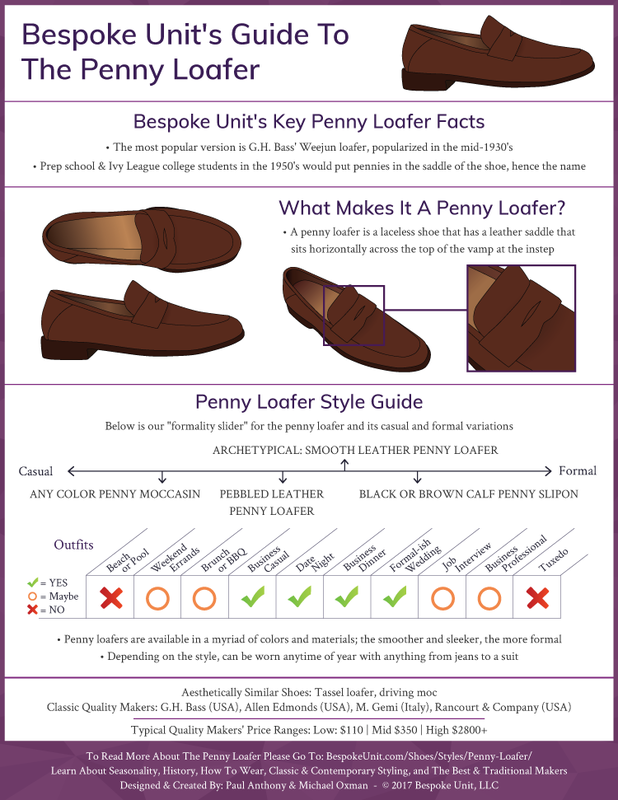 This guide really helped me find the best penny loafers and how to properly wear them!"